Nicki graduated from Illinois Wesleyan University in 2016 as a double major in Sociology and Environmental Studies concentrated in Ecology. She currently lives in Denver, Colorado. As a student, Nicki was heavily involved in Student Government, the environmental sustainability club, and the Interfaith group on campus. Nicki Co-founded the now annual campus Bone Marrow Drive. She served as a Multifaith Ambassador for three years and built the Multifaith Meditation Garden behind the chapel. She studied abroad three times -- to Costa Rica, Tanzania, and the Philippines -- and performed four research projects in her four years as a student. 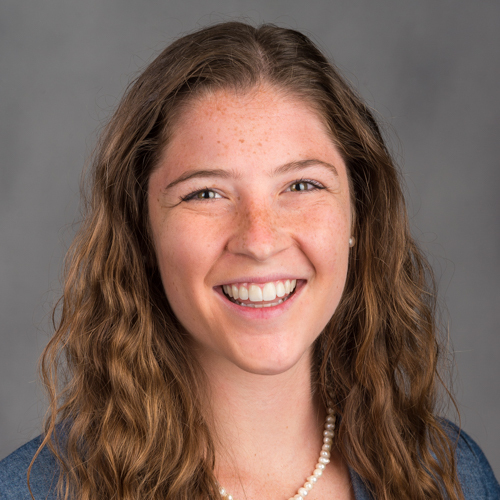 One of her projects tracking an elephant migration route and human-wildlife conflicts won the Phi Beta Kappa Liberal Arts Scholar Award. She is a member of the Alpha Kappa Delta and the Phi Beta Kappa honors societies. After graduation, Nicki served on the Bloomington, IL Planning Commission. In her free time, she enjoys rock climbing and cooking different ethnic foods.